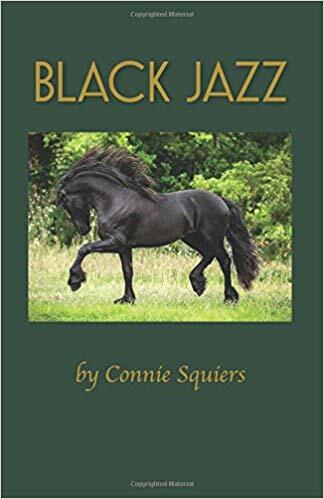 “Black Jazz: A Beautiful Friesian Colt” is a wonderfully-written story filled with valuable lessons that remind readers of God’s power and grace. Readers will surely be delighted by the inspiring journey and the valuable lessons that come with this wonderfully-written tale. Wanting to share values and lessons taught by God and her faith, Connie Squiers combines her talent in crafting a wonderful story and her unconditional love for horses into one. She writes a story that readers of all ages can truly aspire to. Also, she emphasizes the importance of prioritizing one’s faith and keeping God in the center of every person’s life. In “Black Jazz,” readers will discover an inspirational story through the eyes of a sweet girl named Julie. Her story begins when she was suddenly uprooted from her home and was sent to Colorado to live with her Uncle Mark on his ranch. At first, the sudden change in her life made her unhappy, but this journey would soon change her life forever. Unexpectedly, her life turns for the better after her uncle gave her a beautiful Friesian Colt who was born on Christmas Day. After naming him Black Jazz and caring him, she developed a wonderfully strong bond with this majestic horse.Together, they made fond memories at the ranch. Most of all, her inspiring and life-changing journey led her to understand God’s grace and discover Jesus for the first time. Readers will surely be delighted by the inspiring journey and the valuable lessons that come with this wonderfully-written tale. Also, “Black Jazz” will soon be joining the highly-anticipated 2018 Miami Book Fair International. Happening on November 11-18, 2018, this eight-day affair will surely be a gathering of literary fans and book lovers alike. So, grab a copy and save the date! Connie and her husband reside in Tulsa, Oklahoma and are blessed to live in that beautiful city. She fondly remembers the times she spent with her horse crazy girlfriends and reading many, many books about horses. She has used those experiences, and those as a mother, to craft her stories. Always a lover of horses, she decided she could write books that were about horses, were appealing to young people, and would incorporate the tenets of her faith. Her goal has been to show young adults that Jesus could, and should, be an integral part of their lives. They need to know that Jesus can be their best friend in times of plenty as well as in times of need. Her stories are engaging and full of human interest with Christianity slipped in through conversation, not preachy prose. She has provided questions at the end of each book, so a parent or facilitator will find it easy to get their readers to discuss what they’ve read.